The holidays are a time to spend with friends and family celebrating. Holiday traditions including meals, gifts, family activities, and parties all require work. Someone has to take care of all the details to make those times memorable. More than likely, it is you. But, who takes care of you during the hustle and bustle of Christmas? You? You need to take care of yourself during these busy times as well. 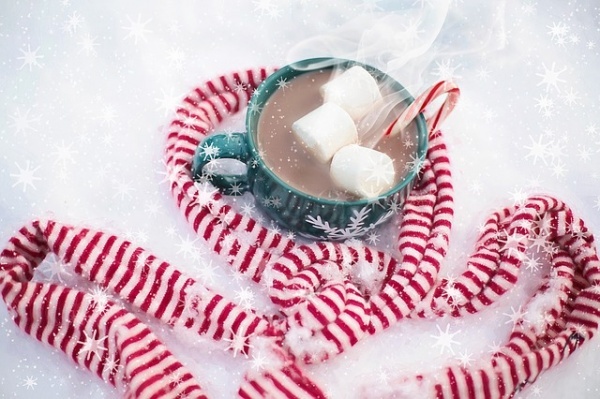 Try some of these ideas as you work to make everyone else’s holidays wonderful. Of course, you probably knew this would be on the list, and it might be easier said than done when you have tons of things to do during the holidays. But, it is very important to have the proper rest to take good care of yourself. Take naps. If you can get a nap in for a few minutes, do it. If your body feels the need to have more sleep, indulge yourself with a longer nap. Take it easy on the caffeine and other stimulants. Drink hot decaffeinated tea before bedtime to calm and soothe your body. Do not rely on alcohol to help you sleep. You need quality sleep, not sleep to wear off an alcohol buzz. Be sure to get to bed at a good time so you get the amount of sleep you need to wake up ready to take on the world. Be sure to take breaks during your busy times. If you need to set a timer to help you remember to do it, then do so. Try some of these other ideas as well. Hot detoxifying baths or bubble baths. Soak in a hot tub while drinking tea. Use essential oils such as lavender to help you relax. Find your quiet place where you can sit and reflect. Put on some quiet, relaxing music. Light some candles. Journaling can be a great way to de-stress. Prayer or meditation can also help you find a quiet place in your soul. Sit next to the Christmas lights in the early morning hours when everyone is still sleeping or after everyone has gone to bed at night. This time of year is always a very busy and stressful time. You want everything for the holidays to be perfect, so you plan, prep, and perform. You take care of everyone you care about, but do not forget to take care of you as well. Take time to rest, take naps, do not rely on alcohol, and get to bed at a good time. Find time for quiet time for yourself just to simply relax and reflect. Kick up your feet and do things to help you relax. Do what you need to do to take care of yourself during this hectic time of the year so you can take care of the ones you love.